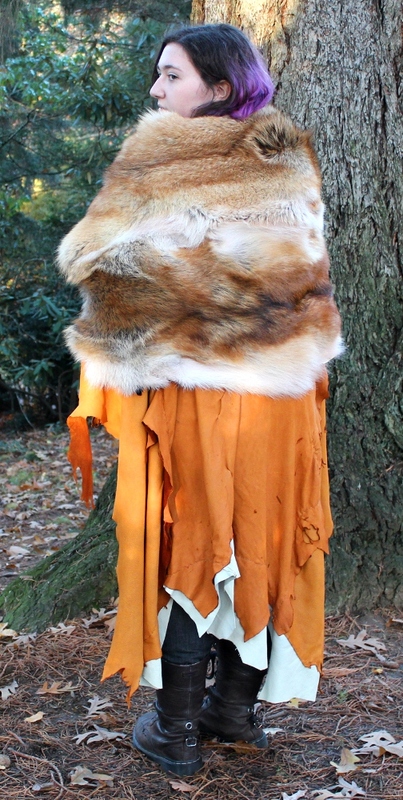 Red Coyote and Deerskin Cape. 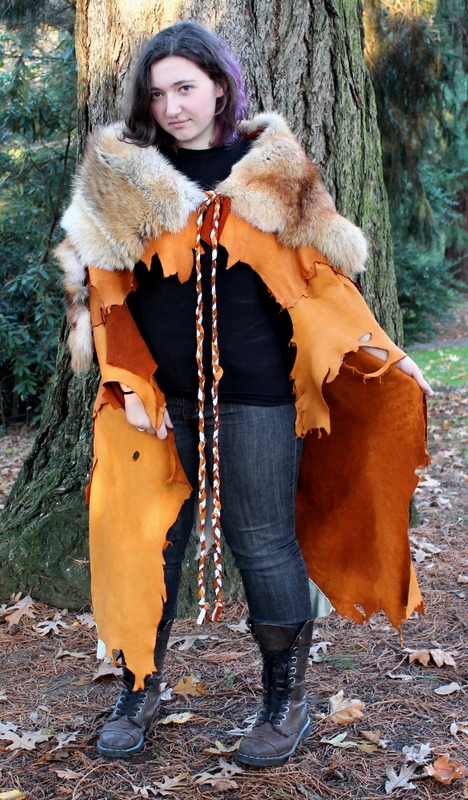 This amazing cape marries the bright, sunset colors of red coyote hides with beautifully dyed red-brown and white deerskin leather. 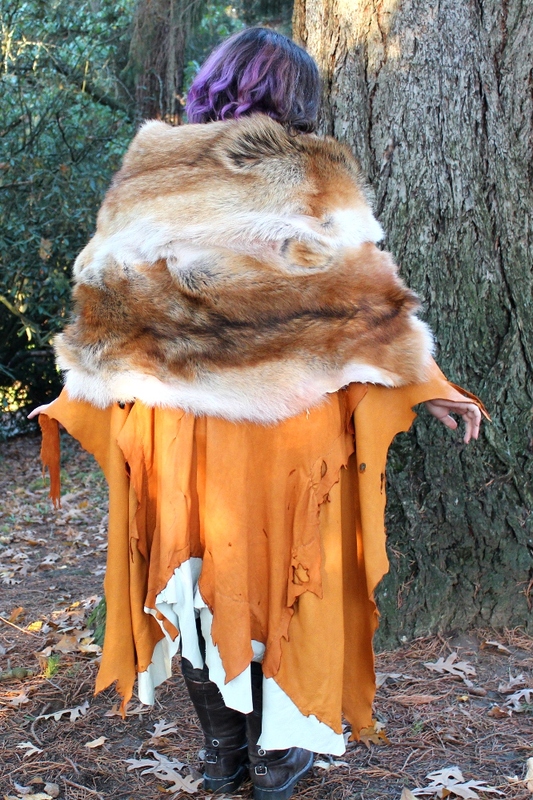 Several pieces of deerskin are carefully sewn together by hand to create the main body of the cape. 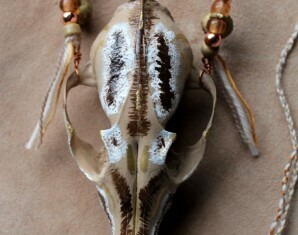 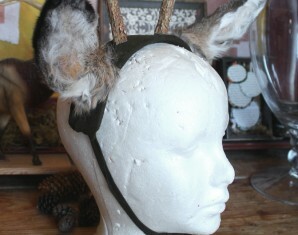 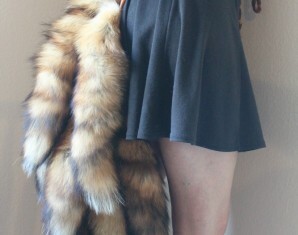 A second layer combines a pair of red coyote pelts, adding texture and body to the piece. 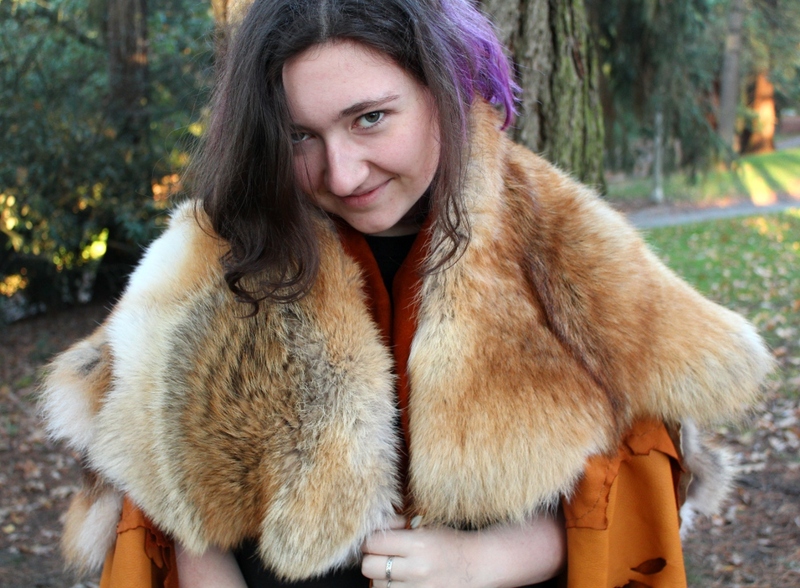 It’s incredibly warm, perfect for the cold weather!